While a planet can't be observed more than ten hours a day by a ground-based telescope, a telescope floating in the polar stratosphere can continuously monitor planets for more than 24 hours. 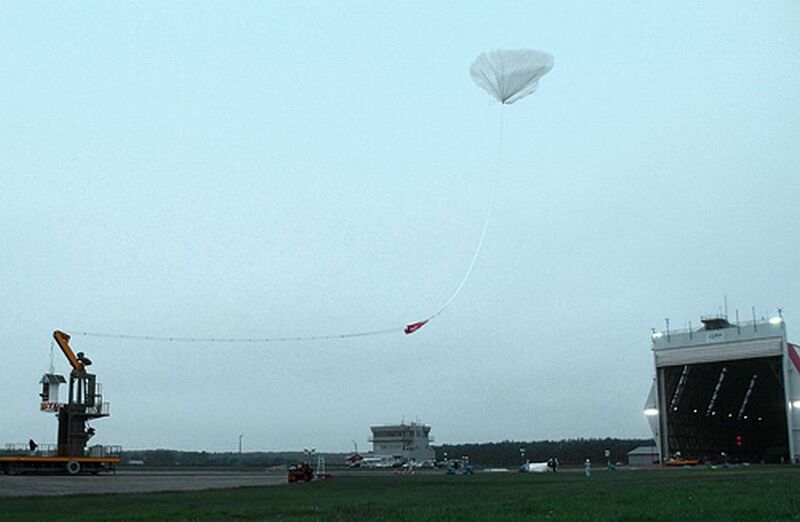 Under this idea Tohoku and Rikkyo Universities developed a balloon-borne system that can be devoted to study with high precision atmospheric and plasma phenomena on almost all the planets, like lightning, airglow and aurora in the atmospheres of Venus, Jupiter and Saturn, satellite-induced luminous events in Jovian atmosphere,etc. 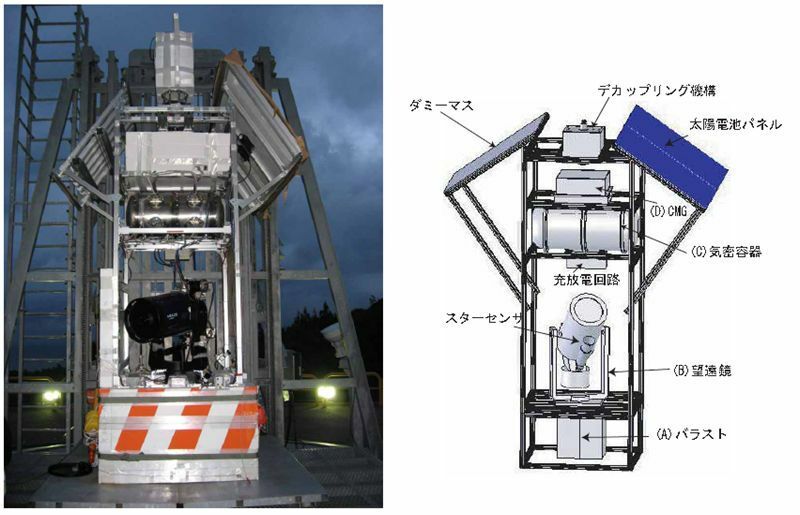 The appearance of the gondola that contain the telescope and associated systems is shown in the figure at left (click to enlarge). The main structure consists of solid aluminum frames, measuring 1 x 1 x 3.3 meters on which are mounted the solar panels and the counter-weight panel. It is surrounded by polystyrene foam which acts not only as thermal insulator but also as a float and a shock absorber when the gondola is dropped on the water at the end of the flight. Its total weight is about 666 kg and hangs from the balloon under a kevlar rope 50 meters long, so that the balloon cannot obstruct the observation. 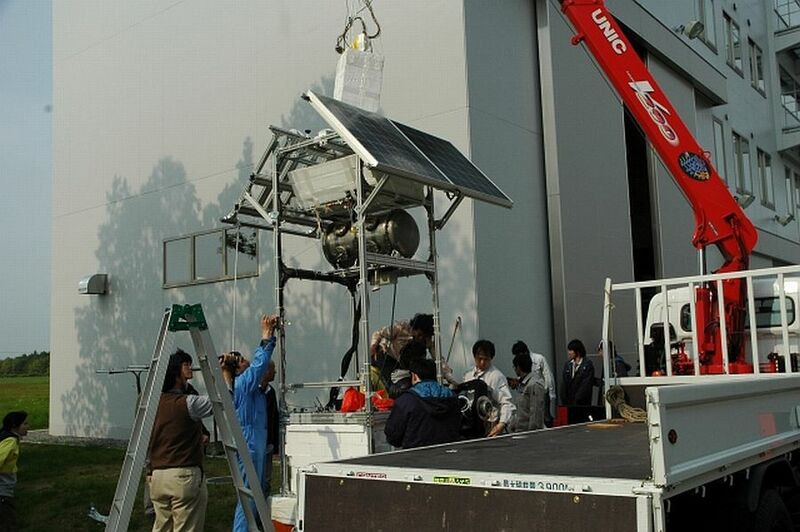 A ballast container is installed in the lower-central part of the structure so at the time of ballast release the movement cannot change the moment of inertia of the payload hanging from the balloon. The telescope is a Schmitt-Cassegrain type with a lens diameter of 305 mm and a focal distance of 3048 mm. The view range of the telescope is 144 (W) x 108 (H) arcsec, and is coupled to a CCD camera with a resolution of 768 (Wide) x 494 (Height) pixels. Thus, as an example the Venus diameter of CCD view is about 10 to 60 arcsec, which is equivalent to 45 to 274 pixels. The moving range of the telescope is limited to 30 degrees because the side float panels obstruct the observation. 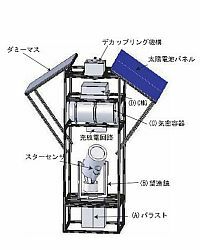 The images obtained by the telescope are transmitted by analog modulation telemetry to the ground for real-time monitor as well are recorded in the onboard storage system contained in a pressurized vessel. There are located too the central computer and several other related devices as the converters, a high voltage power supply for a piezo-electrically moving mirror and digital video recorders. The downlink transmits during the flight every 1.3 seconds the house-keeping and attitude data of the gondola. As the high resolution imagery requires a very precise and stable pointing system, a decoupling mechanism and a pair of control moment gyros (CMGs) are mounted at the top of the gondola to isolate the gondola from the movement of the balloon, which may generate a large twisting moment. The attitude of the gondola is stabilized at a constant sun azimuthal angle to allow the solar cell panel allways to face to the sun. The azimuthal angle is detected by a sun-sensor. A PC processes the sensor output to control DC motors used in the decoupling mechanism and CMGs with an accuracy in azimuthal attitude of about 0.5 deg. The two-axis gimbal mount of the telescope are controlled by the same PC, guiding an object within a field-of-view of a guide telescope. The field-of-view of the telescope covers elevation angles from 0 deg to 70 deg. Residual tracking error is detected by a position sensitive photomultiplier tube and corrected by the two-axis moving mirror installed in an optical system. The optical path is divided into three paths with different spectra: the first one with wavelengths less than 450 nm, the second one with 550-630 nm, and the last one more than 750 nm. The first and last paths are utilized for imagery of UV and NIR with bandpass filters and analog and digital CCD video cameras, respectively. The second path is for tracking error detection. The launch occured at 4:09 local time on June 3 using the sliding platform launch system. After a nominal ascent phase, the balloon (measuring 100.000 m3 of volume) leveled at 32,6 km, starting the scientific phase of the flight. 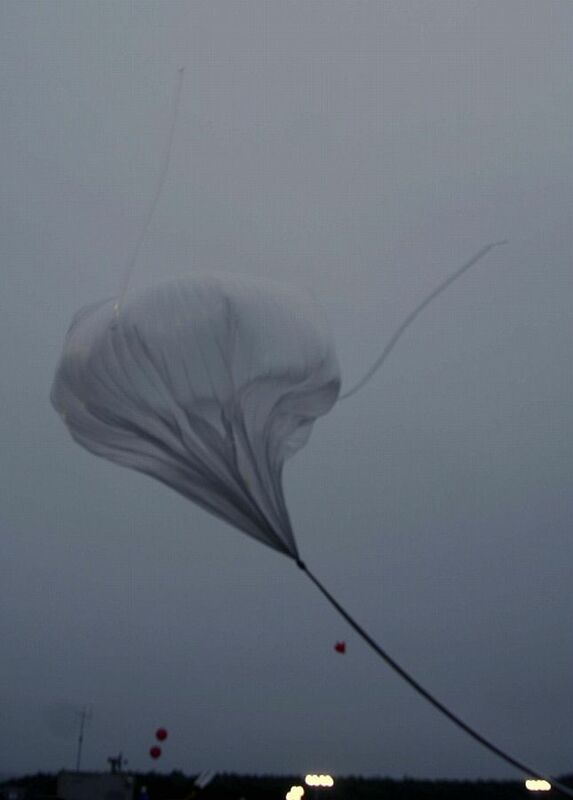 The mission ended at 12:02 local time when the balloon was separated from the payload, which was recovered from the sea a few hours later by a rescue vessel. 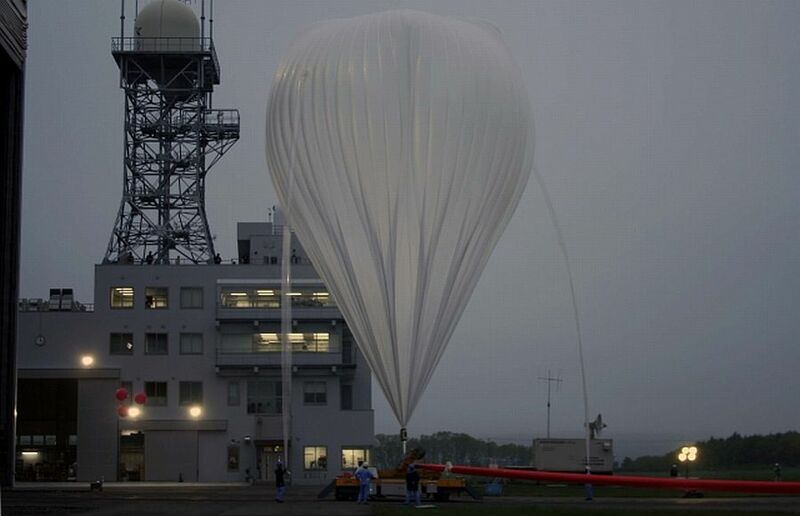 This flight was originally scheduled to be launched in May/June 2007 from the Sanriku Balloon Center, but it was cancelled due to delay in the development of the system. It was re-scheduled for August/September 2007. The gondola was ready for launch on August 30, but the experiment was not permitted due to an accident occured during a flight just before it. Then, in September 5 the flight was cancelled again, this time because the stratospheric wind condition became unsuitable for the recovery operation. The target of this first experimental flight was to observe the global dynamics of the Venusian atmosphere by detecting cloud motion in UV and NIR imagery. 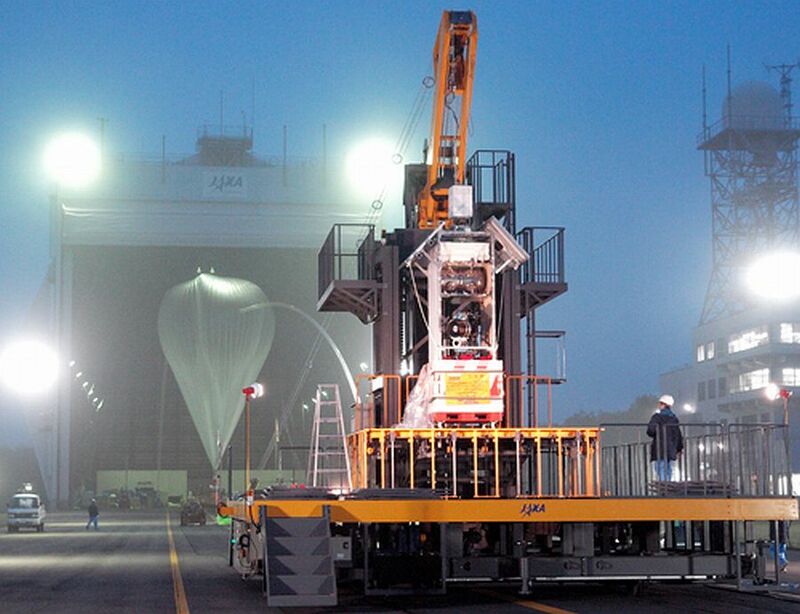 The next step in the project is to launch again the telescope in a long duration balloon in the Arctic.